GS9’s Rowdy Rebel may still be locked up behind bars, but that’s not stopping new music of his from finding its way online. 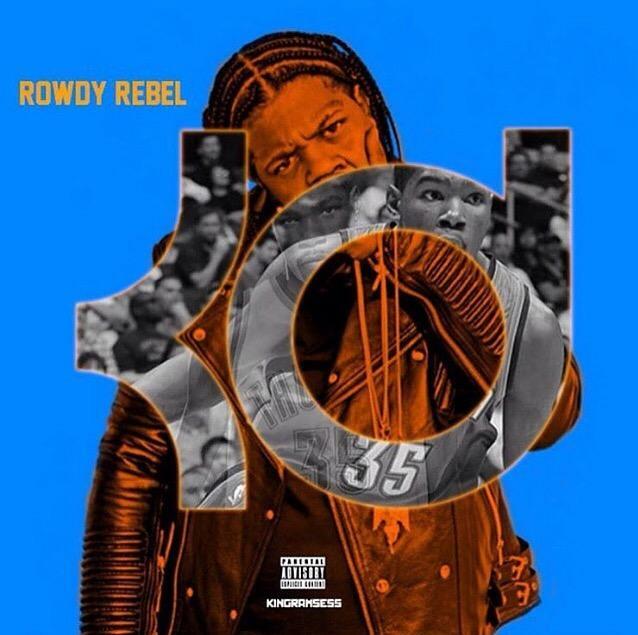 Tonight, a new track from Rowdy has surfaced called “Kevin Durant”, and its exactly what you think. Paying homage to the great KD, “Kevin Durant” finds Rowdy dropping several references to the former MVP, including KD’s jersey number, which he reference on the hook with 35 in the clip, 3.5 [grams] of that piff, and having “shooters” that don’t miss. Serving as the follow up to “That Night”, “Kevin Durant” should presumably see life on his upcoming In Shmoney We Trust mixtape, which is hopefully coming soon. For now though, stream “Kevin Durant” and let us know what you think!